Rachel Carson's Silent Spring, published in 1962, did more than any other single publication to alert the world to the hazards of environmental poisoning and to inspire a powerful social movement that would alter the course of American history. This definitive, sweeping biography shows the origins of Carson's fierce dedication to natural science--and tells the dramatic story of how Carson, already a famous nature writer, became a brillant if reluctant reformer. Drawing on unprecendented access to sources and interviews, Lear masterfully explores the roots of Carson's powerful connection to the natural world, crafting a " fine portrait of the environmentalist as a human being" (Smithsonian). Linda Lear is the editor of Lost Woods: The Discovered Writing of Rachel Carson. 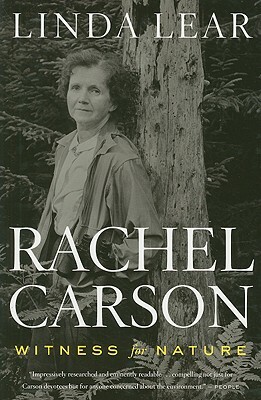 She was consultant to the PBS television documentary "The Silent Spring of Rachel Carson" for The American Experience, and is a founder of the Lear/Carson archive at Connecticut College. Her most recent book is Beatrix Potter: A Life in Nature. She lives in Bethesda, MD.